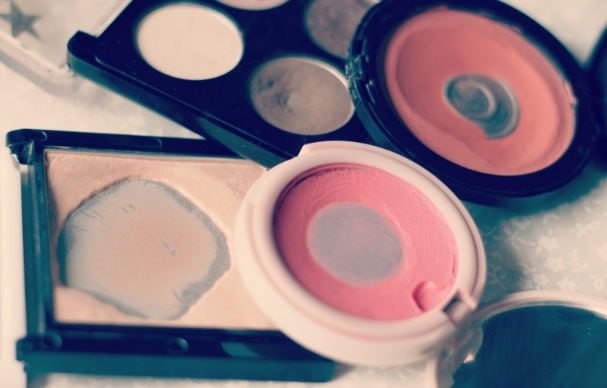 10 ways to save a bundle on beauty products. The little tips can save you a lot of dollars. Ever feel like your entire pay is spent before it even goes into your bank account? Between rent, car payments, grocery shopping, mobile phone charges, school supplies for the kids… Well, it’s a wonder we’re not all in serious debt. But there is one area you can scrimp on to keep a little extra cash in your wallet: beauty products. In a perfect world, we’d make weekly (even daily) trips to Myer, filling our baskets with lotions and potions, but in the real world, it’s actually easy to save on this stuff without sacrificing quality. Here are 10 ways you may not have thought of to keep beauty costs down so you can spend that hard-earned money on something really important – like new shoes. 1. Whip up a DIY mask. Facial masks are great – they purify, moisturise, detoxify, replenish. But the ones you find at the beauty counter can easily run upwards of $40 a pop. Save that money and simply raid your kitchen. Have ripe bananas on hand? (Who doesn’t, right?) Mash one up, mix it with a little plain yogurt and a couple tablespoons of honey, and, voila!, homemade facial. 2. Meet Vaseline, your new BFF. There’s a reason Vaseline has been around since 1870. The beauty essential can be used to moisturise skin, take off makeup, soften your cuticles, serve as a lip balm, turn powders into cream shadows and blushes, add shine to your cheekbones, the list goes on and on. And the best part? Buying in bulk encouraged. 3. Make the most of your makeup. Here’s a trick to save you both money and space. You know all those half- or nearly- empty tubes and bottles cluttering up your bathroom counter? Combine them! Take that paltry amount of pink shadow and mix it with that little bit of brown to create a new shade. All those almost used up lipstick tubes? Scrape out what&apos;s left with a small spatula, heat it up in a spoon or small pot to melt it down and mix it together, then pour it into an old palette or small jar. 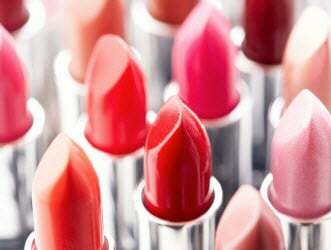 Bonus tip: Using a lip brush instead of applying straight from the tube will extend the life of your lipstick. 4. Look for all-in-one products. One sure-fire way to ring up costs on beauty products? Buying single products for everything. Instead of grabbing a separate moisturiser, sunscreen, foundation and colour corrector, reach for a CC (colour correcting) cream, that contains all those things in one bottle, saving time, money and space. Also, find a blush that’s also a lip stain, or a hair product that serves as a mousse and heat protector at the same time. 5. Get to know organic virgin coconut oil. Into natural beauty products? Head to your supermarket baking aisle and pick up a jar of this stuff for around $10. In the jar, it’s a solid, but it melts into an oil when it comes in contact with your skin. We know women who swear it made wrinkles disappear in a week after slathering it on morning and night. You also can use it as a makeup remover, moisturiser, hair conditioner, hand cream… Oh, and you can cook with it, too! 6. Brew a cup o’ tea. No need to invest in an expensive fancy eye creams or treatments to reduce those dark circles. To calm redness or puffiness, just grab a couple Earl Grey tea bags from the pantry, steep, let cool, pat them on your face and let the tea’s anti-oxidant properties go to work. A cheap conditioner will work just fine with your razor. Or whip up your own DIY potion by mixing up a little conditioner, baby lotion and melted coconut oil into an old bottle. Feeling fancy? Add a drop or two of your favourite essential oils – think rosemary and mint or a little lavender. 8. Train yourself to scope out a bargain. Search the web for discount gift cards to your favourite beauty retailers. Look for sites that offer cash back and coupon codes on online purchases. Find a credit card with a cash back feature. Follow or like your favourite brands and shops on social media, where you’ll often find special offers that will lower your beauty bill. Between all these discounts and rewards and the addition of coupons to the mix, you’re stacking serious savings. Extreme couponers, watch out! 9. Help shampoo last longer. Get a couple more shampoos or conditioning treatments out of that almost empty bottle by adding a bit of water. You won’t notice that little bit of dilution, and it’ll save you from a few bad hair days before you can get to the shops – or receive your next pay. 10. Switch to a men’s deodorant. In yet another way men and women are not treated equal, female beauty products are more expensive. If you can live without that lavender-scented deodorant or passion fruit-infused shampoo, you’re going to save money. Worried you’ll smell like your Old Spice-adoring dad? Opt for a fragrance-free formula to avoid a “manly” scent. How do you save on beauty products? $8 a packet for make-up wipes? Here’s a 20c alternative. 6 steps to healthy hair that cost NOTHING.